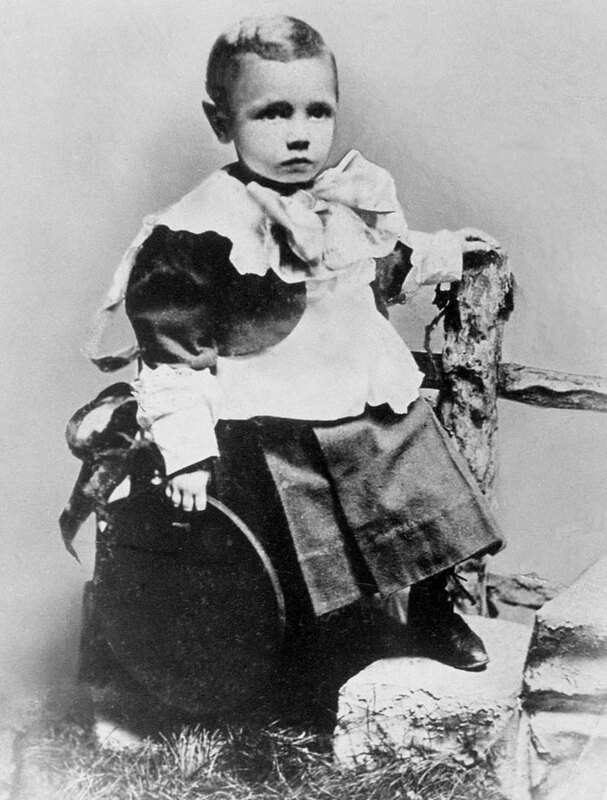 Three-year-old George Herman Ruth poses for a portrait in Baltimore in 1898. 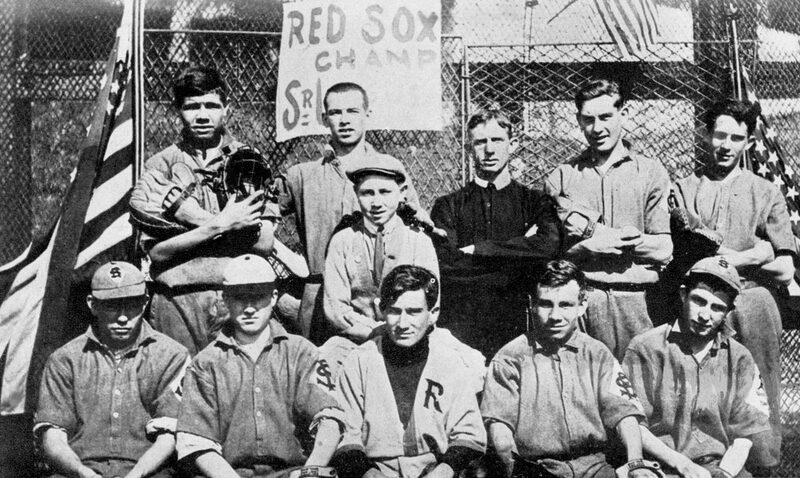 Babe Ruth (top left) and The St. Mary's Industrial School team of Baltimore poses for a portrait sometime between 1910 and 1912. 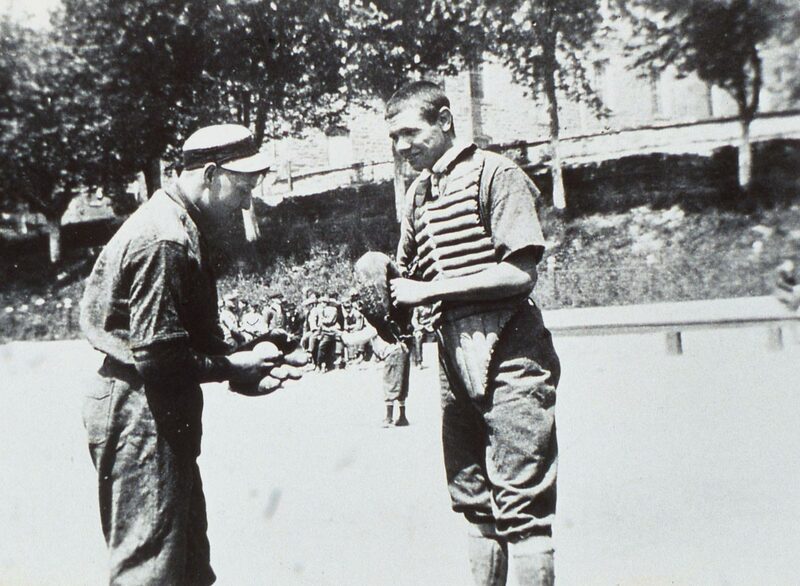 St. Mary's catcher Babe Ruth chats with a teammate in 1912. 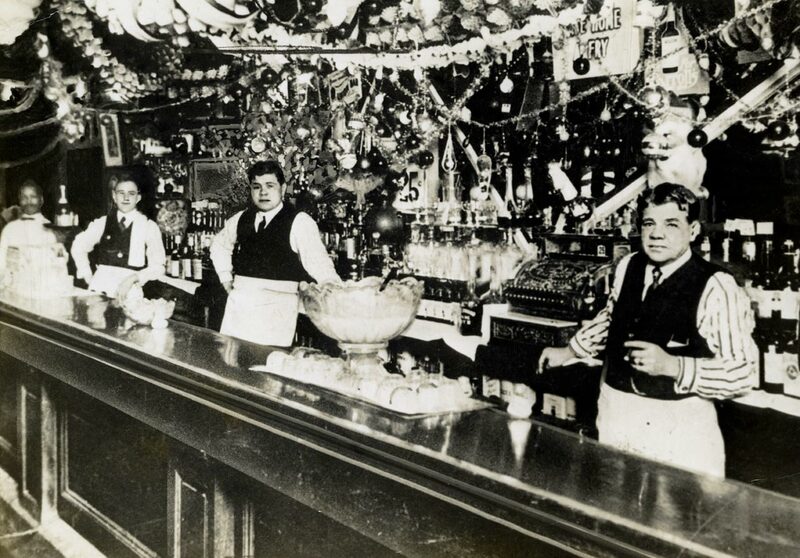 Babe Ruth (center) with his father, George Herman Ruth Sr, tend bar in Baltimore in 1915. 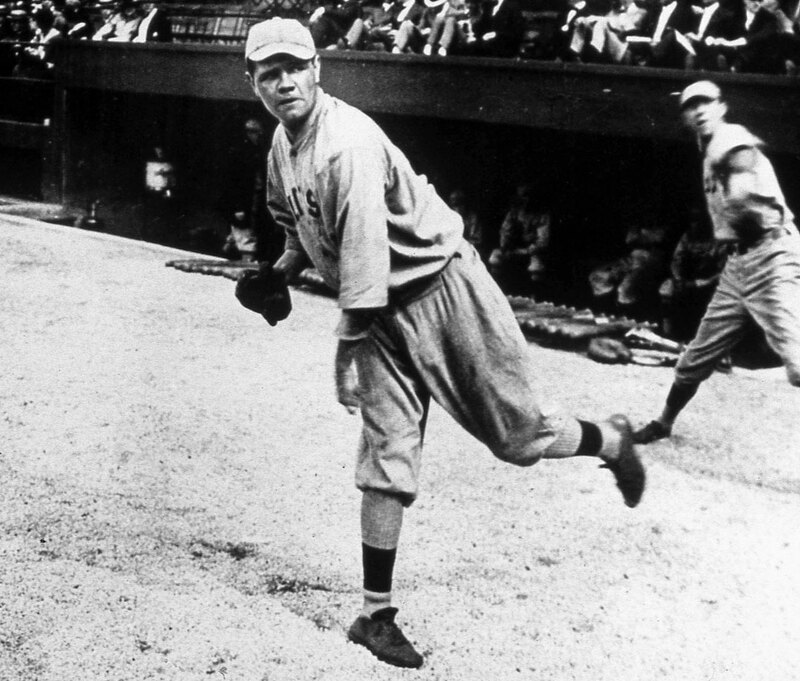 The elder Ruth owned several saloons in the Baltimore area. 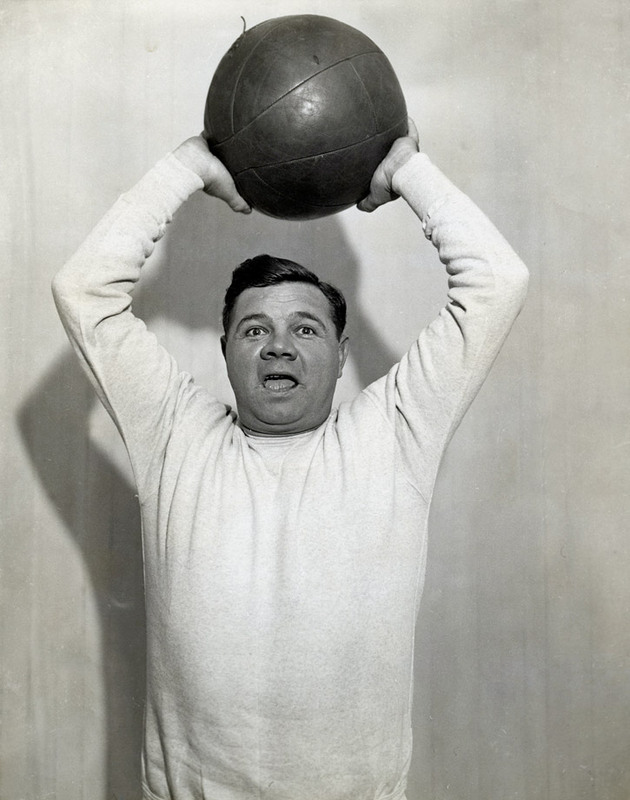 Red Sox pitcher Babe Ruth warms up on the sidelines of Fenway Park in 1918. 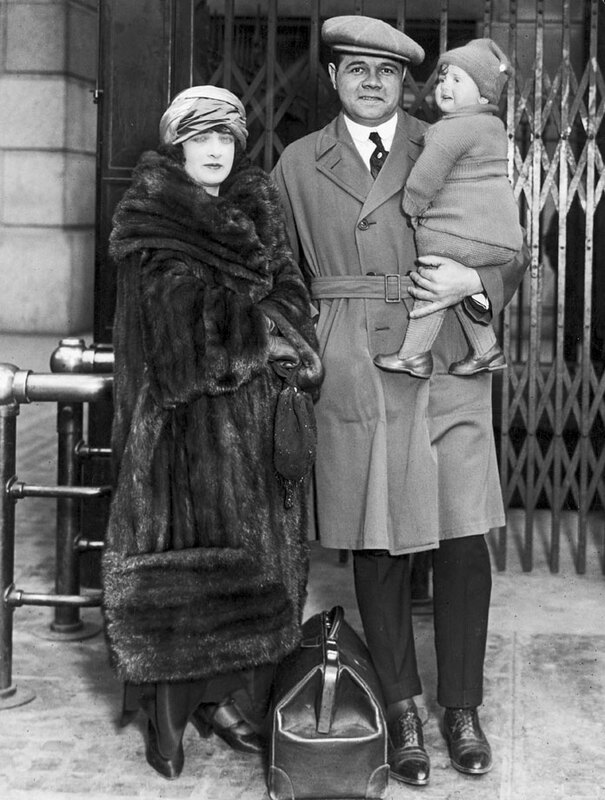 Babe Ruth poses at Pennsylvania Station with his then-wife Helen Ruth and daughter Dorothy as he prepares to leave for Yankees spring training camp in 1923. 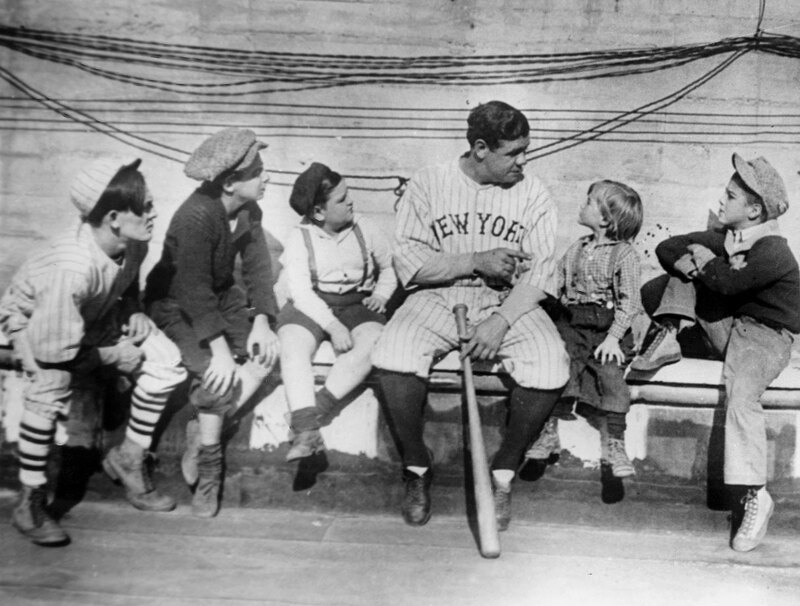 Ruth, the most popular athlete of his era, chats with a group of children in 1924. 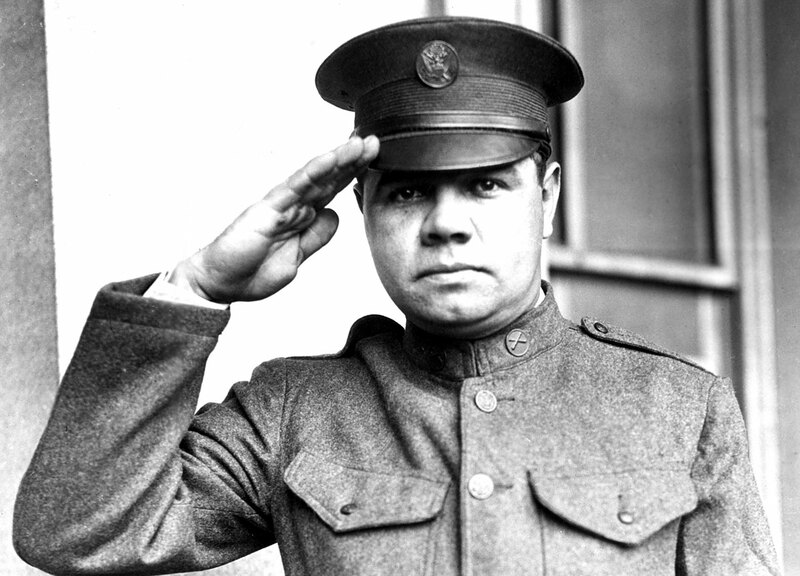 Babe Ruth salutes in his National Guard uniform circa 1924. 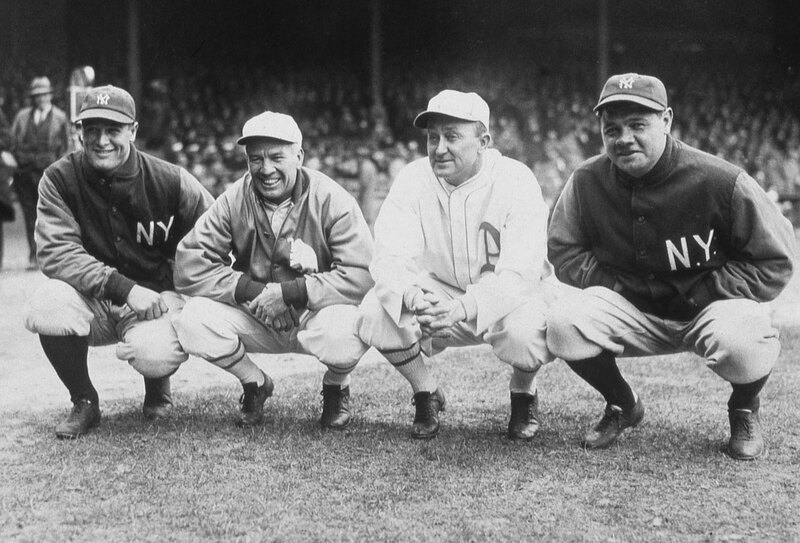 Lou Gehrig, Tris Speaker, Ty Cobb, and Babe Ruth pose during a Philadelphia Athletics series at Yankee Stadium during the 1927 season. 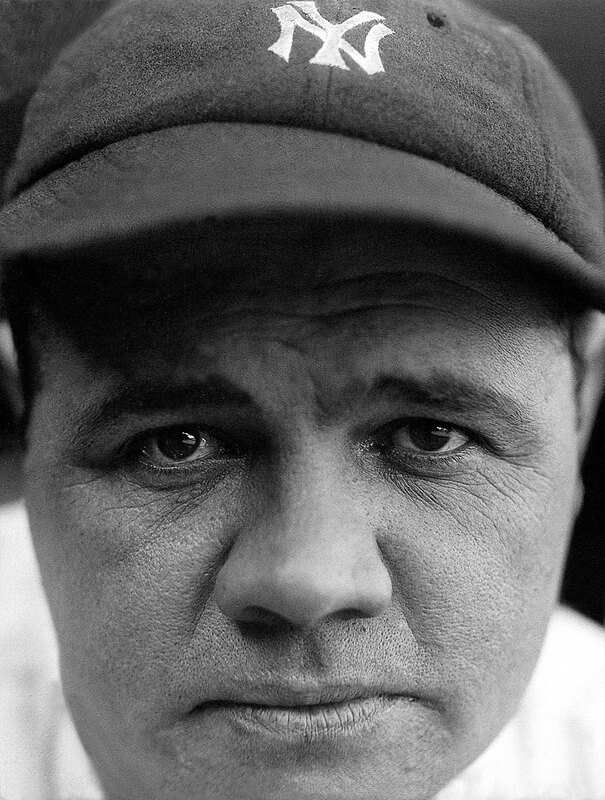 Ruth hit 60 home runs in 1927, a record that would be broken 34 years later by another Yankee, Roger Maris. 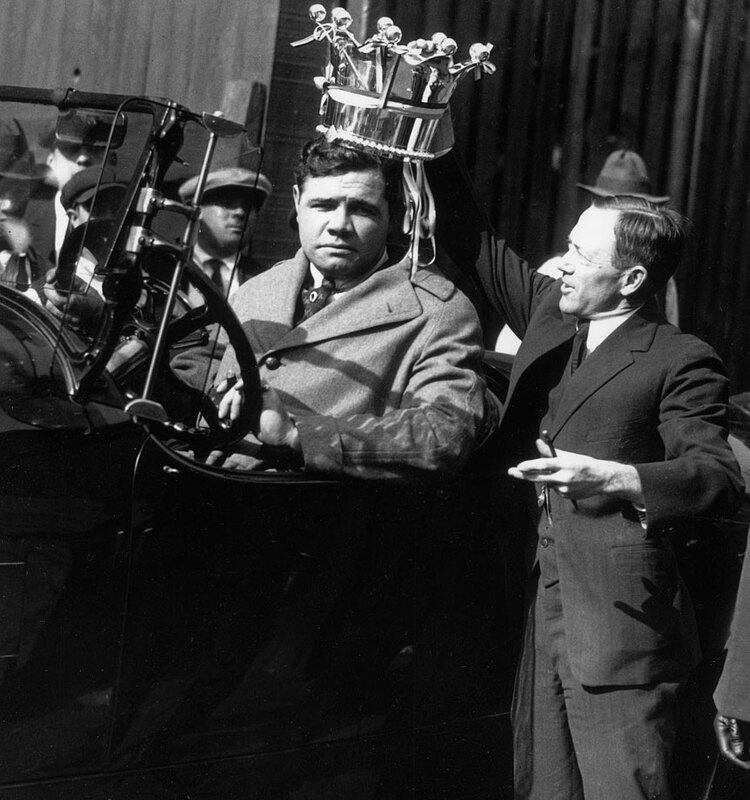 Babe Ruth is crowned the ''King of Swat'' by manager Miller Huggins in 1927, who gives him a ceremonial crown worth $600. 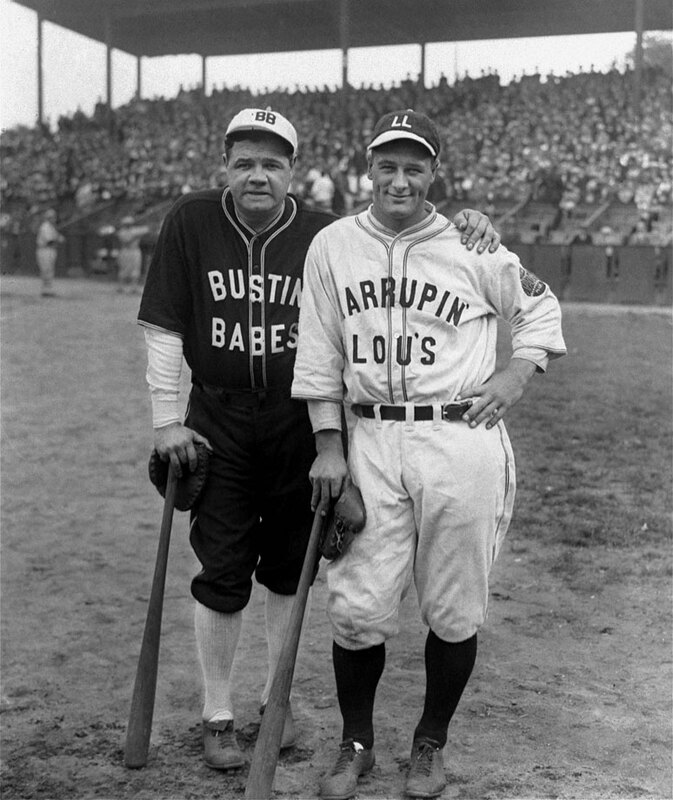 Babe Ruth and Lou Gehrig pose in their ''Bustin' Babes'' and ''Larrupin Lous'' uniforms from their 1927 barnstorming tour. 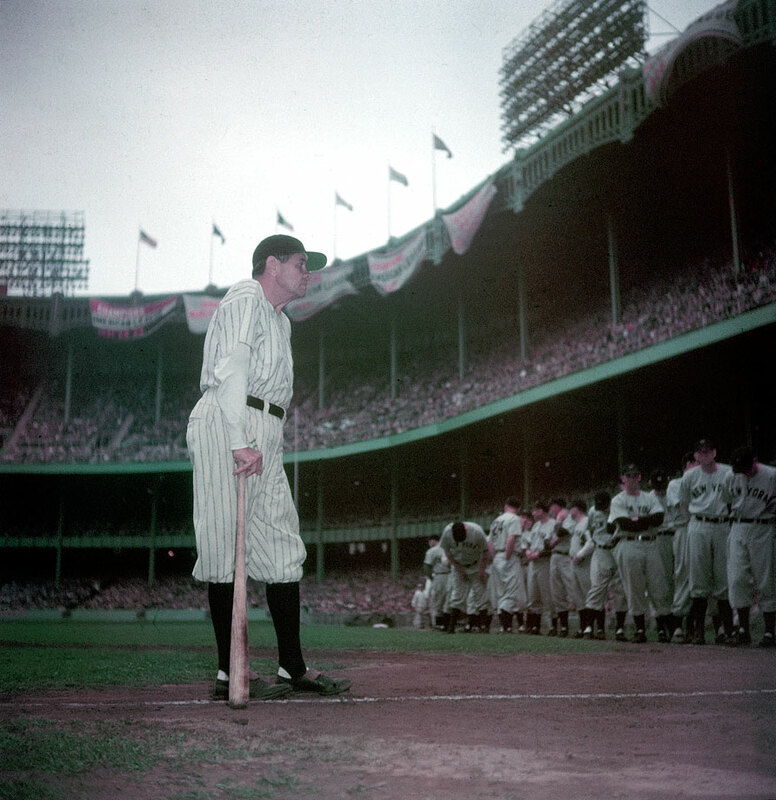 The teams, which consisted mostly of local amateurs and minor leaguers, played 21 games across the country immediately after the Yankees swept the Pirates in the World Series. 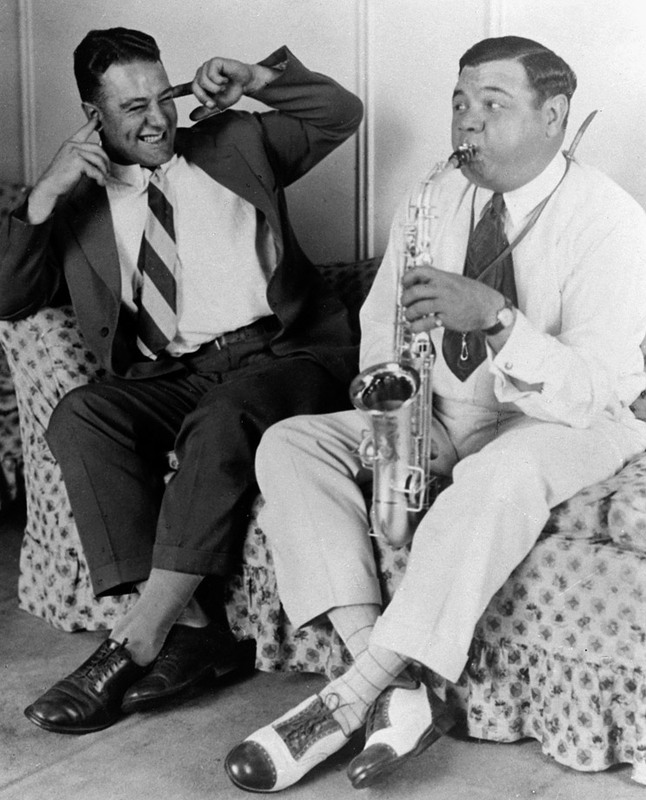 Lou Gehrig plugs his ears as Babe Ruth blows into a saxophone during a photo opportunity stunt in 1928. 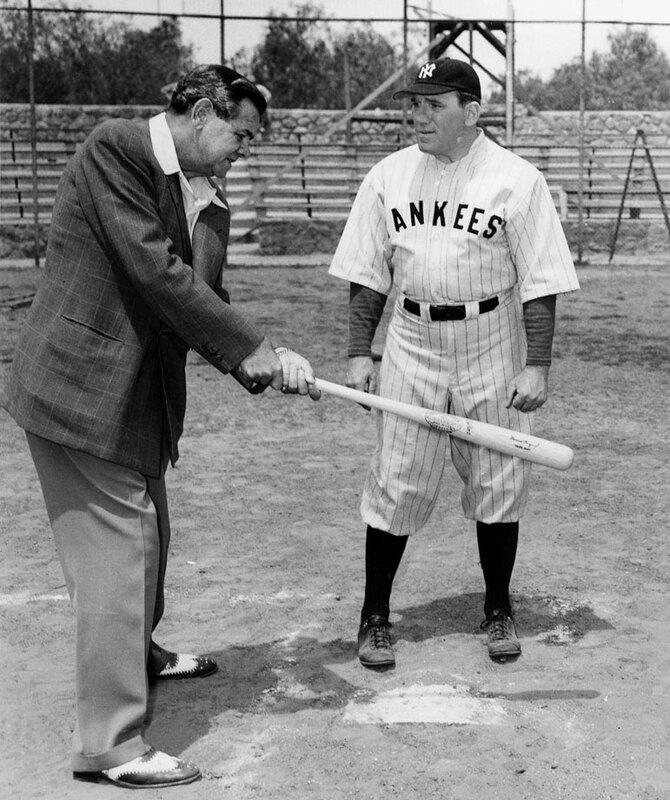 Babe Ruth gets his knee checked out by Dr. Woods in Oct. 1928. 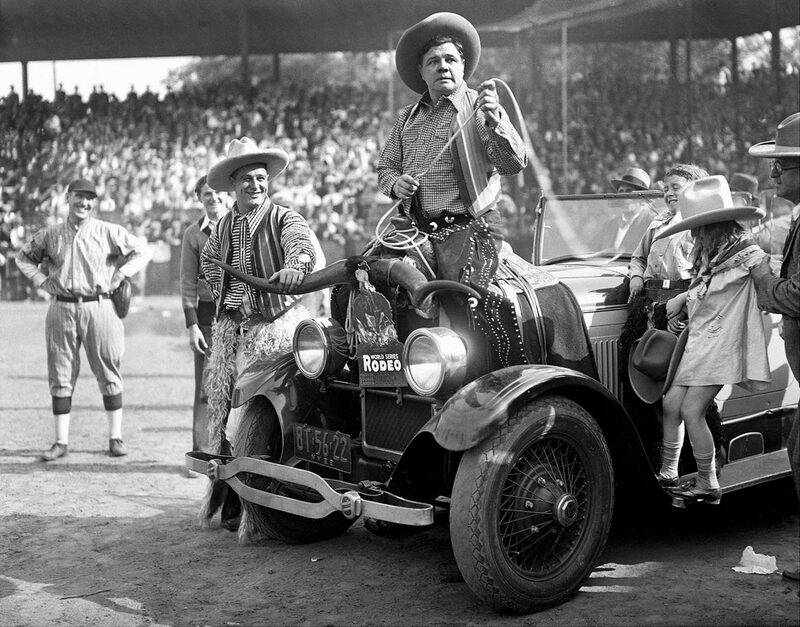 Babe Ruth and Lou Gehrig try their hand at rodeo, fresh off a World Series sweep of the Cardinals, in Oct. 1928. 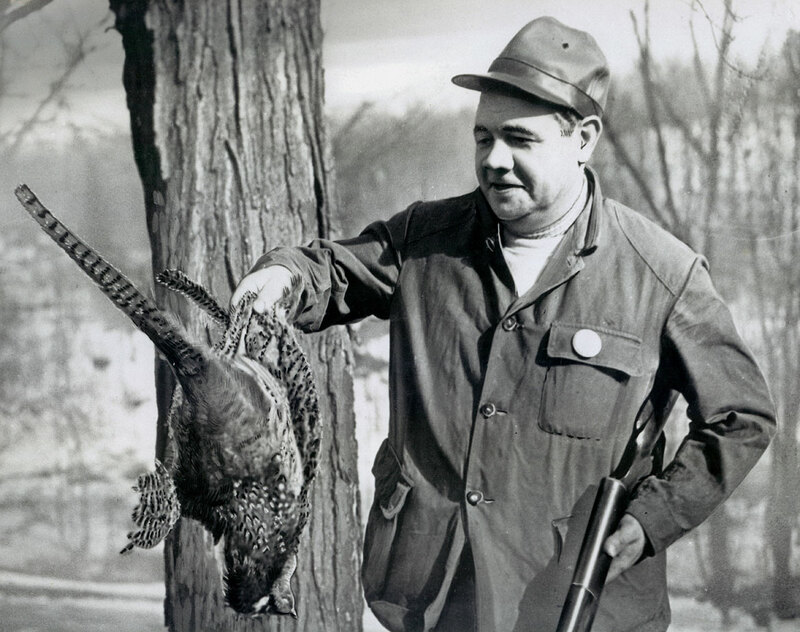 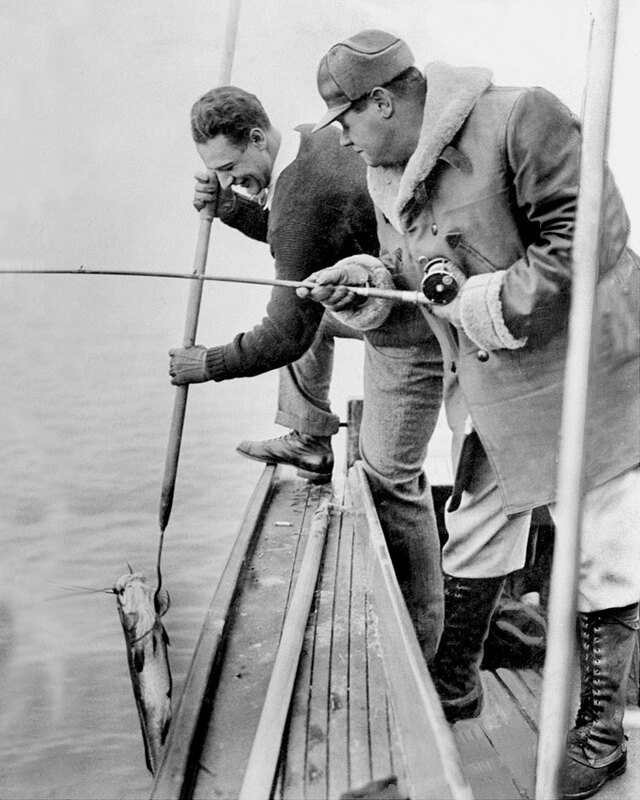 Babe Ruth checks out the fowl he shot on a hunting trip in Pennsylvania. 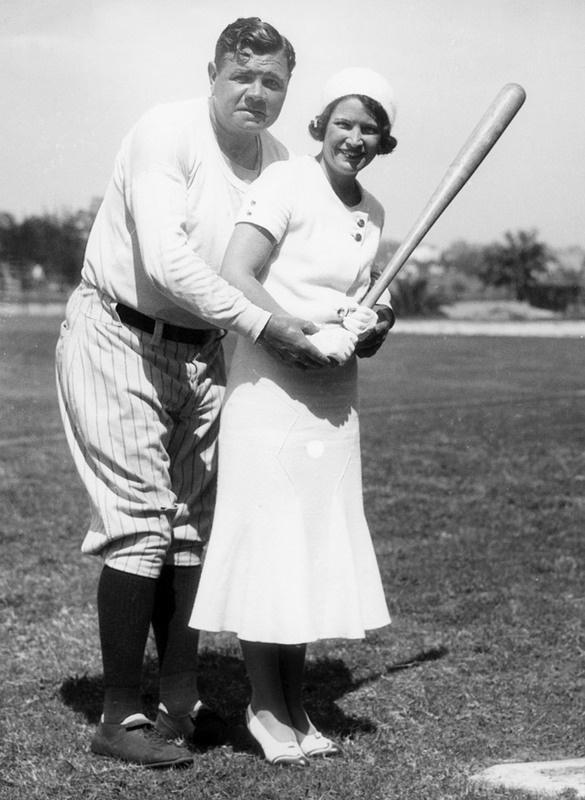 Babe Ruth and his wife Claire pose in 1931 during spring training in St. Petersburg, Fla.
Babe Ruth hoists a medicine ball at McGoverns Gym in New York City in 1932. 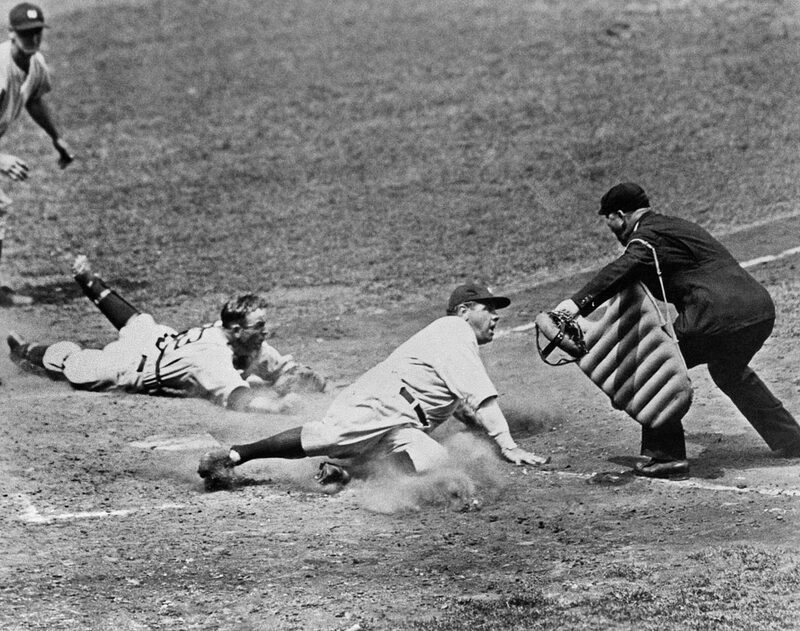 Babe Ruth slides safely into home during a Yankees-Tigers game in 1934. 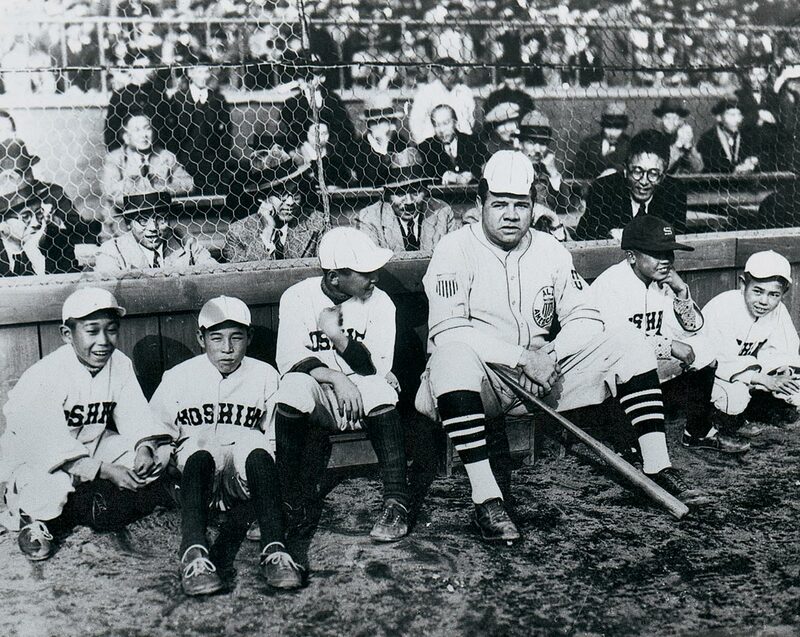 Babe Ruth posing with bat boys during a barnstorming tour of Japan. 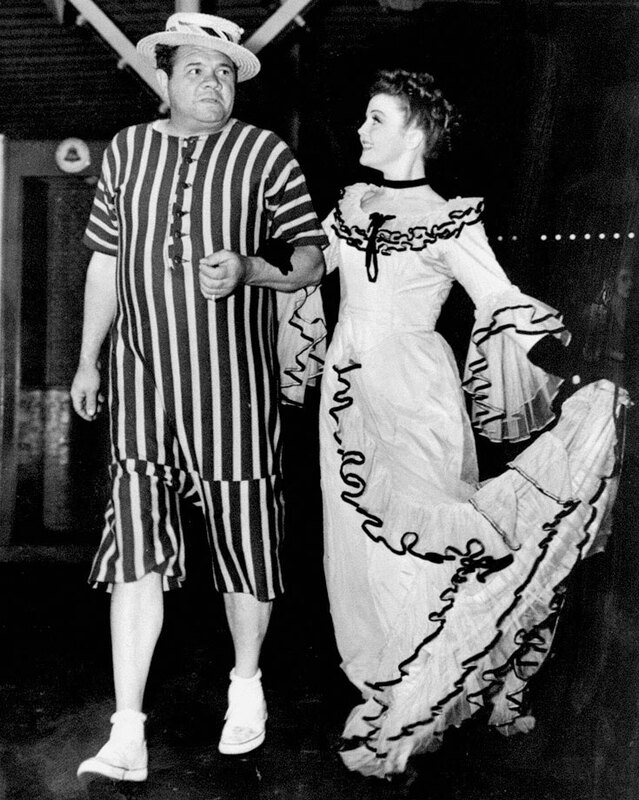 Babe Ruth and Nancy Carroll, stars of the Broadway play ''I Must Love Someone,'' attend the annual roller skating party in Coney Island. 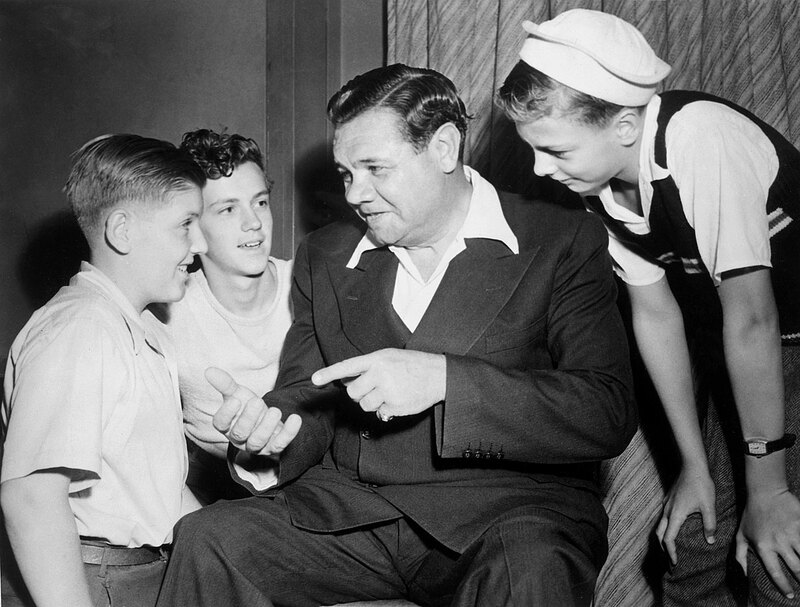 Babe Ruth chats with young fans in 1944. 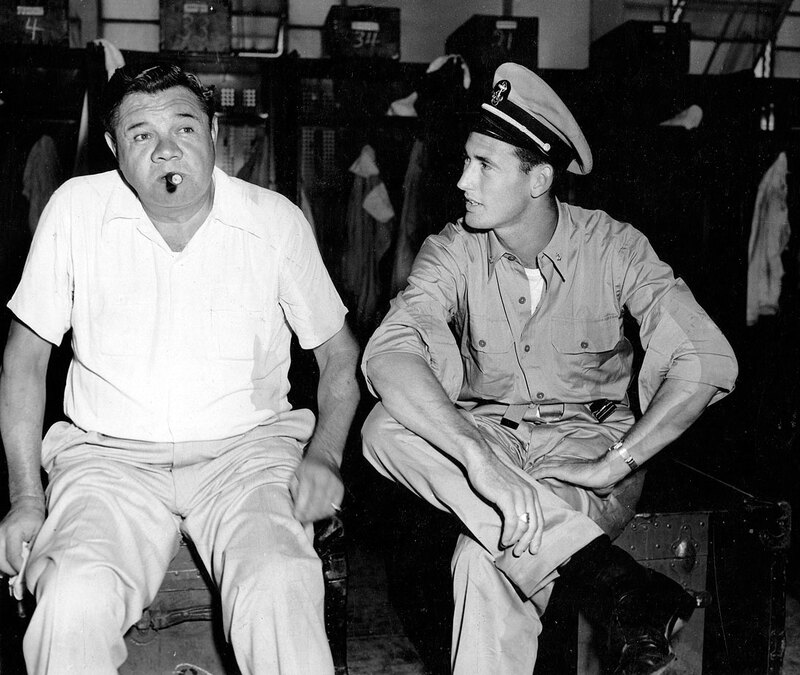 Babe Ruth sits with Ted Williams, sitting in his Navy uniform, circa 1945. 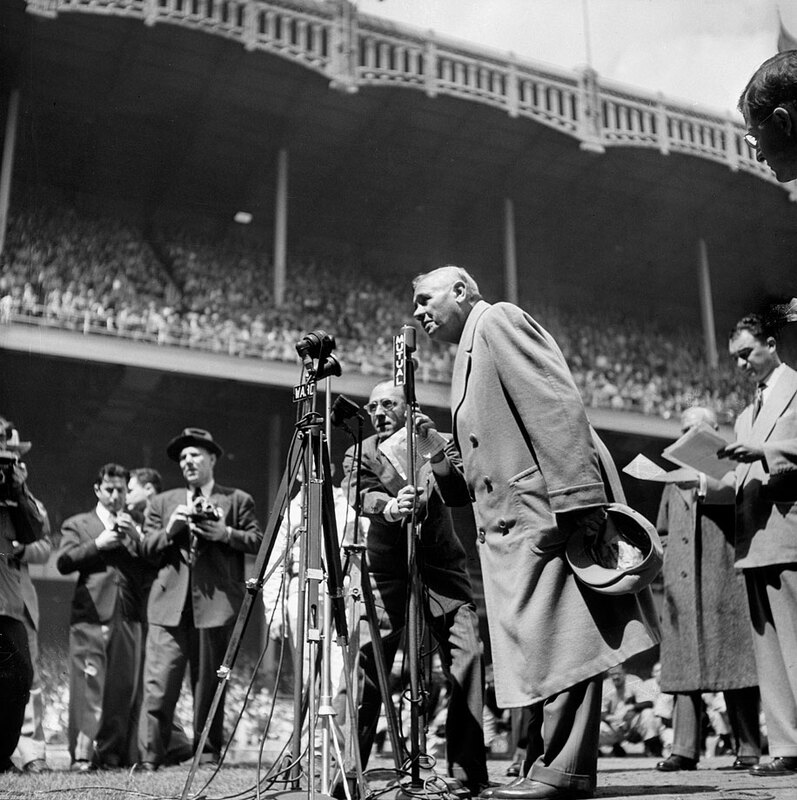 Babe Ruth thanks the crowd at Yankee Stadium for their ovation on "Babe Ruth Day," April 27, 1947. 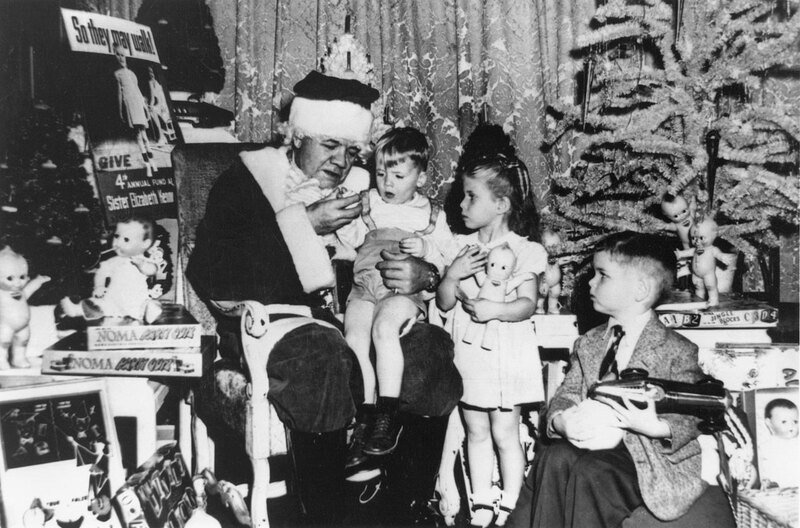 Babe Ruth, dressed as Santa Claus, sits with children during a Christmas Party for polio victims in Dec. 1947 at the Hotel Astor in New York City. 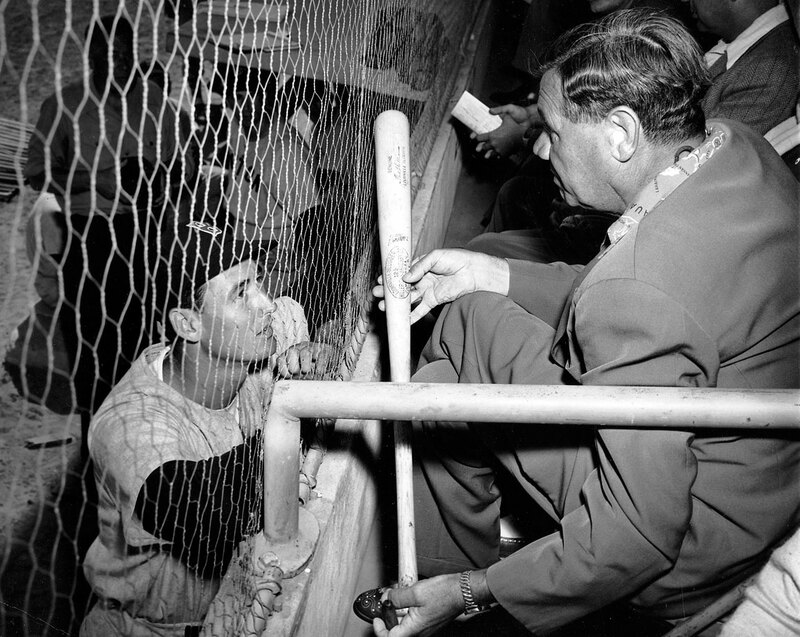 Ted Williams receives some hitting advice from Babe Ruth during a spring training game in 1948. 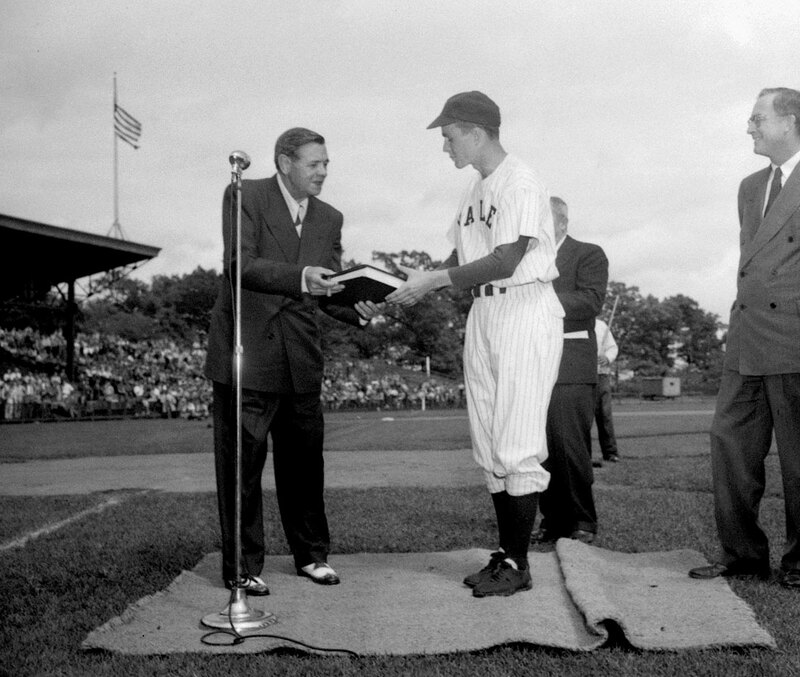 Babe Ruth presents Yale baseball captain George H. W. Bush the original manuscript of ''The Babe Ruth Story'' in June 1948 at Yale Field in New Haven, Conn.
Babe Ruth makes his final appearance at Yankee Stadium as the franchise retires his number, just two months before his death. 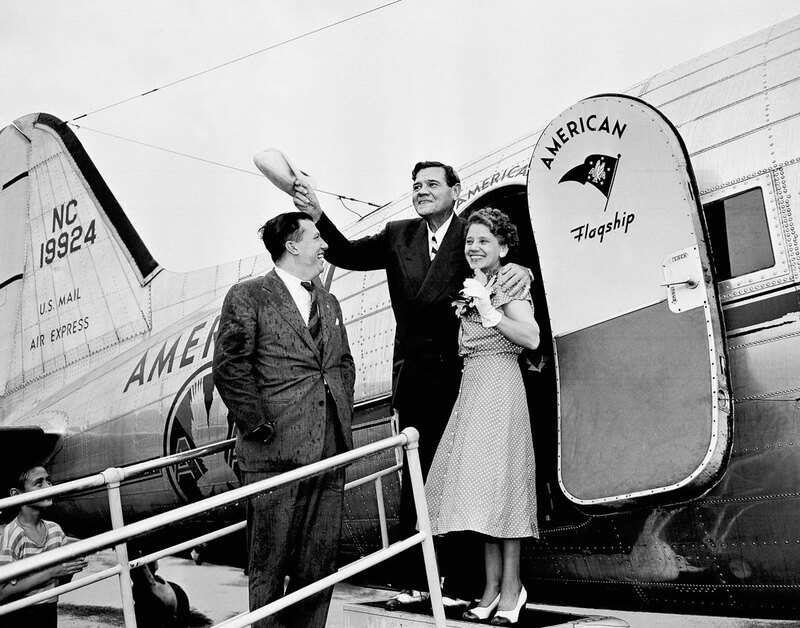 Babe Ruth waves his cap to the crowd on his arrival at the Municipal Airport in Baltimore with his sister Mary in July 1948.